Visit the Seven Colors Mountain, now! 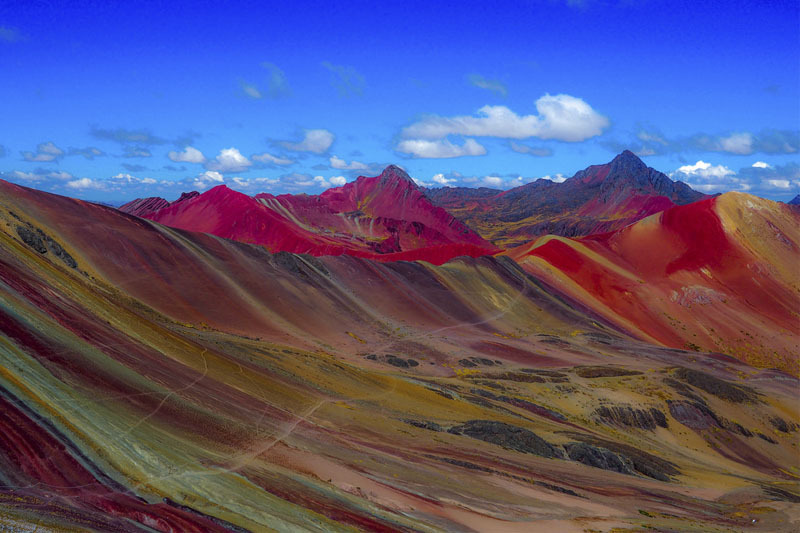 Vinicunca is an incredible mountain of colors that receives the name of “rainbow mountain”, due to the mineral deposits exposed that give the mountain an extraordinary appearance. You can see the mountain painted yellow, mustard, red and blue in various shades. People are starting to look for “the rainbow mountain” on the internet, and they encounter images of a mountain that can only be described as a rainbow mountain. This mountain quickly becomes an obsession for people looking to see the most breathtaking places in the world. All adventure seekers dream of discovering a place off the beaten path and Vinicunca can still give you that emotion. Although many people already know about it and will do everything possible to get there, it is a place that still has to be discovered; do it as soon as possible, so you can do it as much as possible, before the mountain becomes known by more people. Some years ago the best publications in the world began to give good recommendations for travel to Peru; Vogue, Atar and Forbes are some of them. Forbes is the quintessential business magazine, sometimes “too adult”, other quite intimidating; however in his later years he has gone after articles on young entrepreneurs, technology and travel. In an article published by Forbes, the magazine’s editors give good reasons why they should board a plane to Peru and visit the Rainbow Mountain in Cusco as quickly as possible. Why visit Vinicunca Mountain (rainbow) right now? To explain better, it is not a race to reach the top, but a race against time; before this mountain is invaded by huge numbers of people from around the world such as Machu Picchu, and before you have to reserve the entrance tickets with months in advance, such as the Inca Trail or the mountain Huayna Picchu. Visit the “Rainbow Mountain” before it becomes that amazing tourist attraction it’s meant to be. 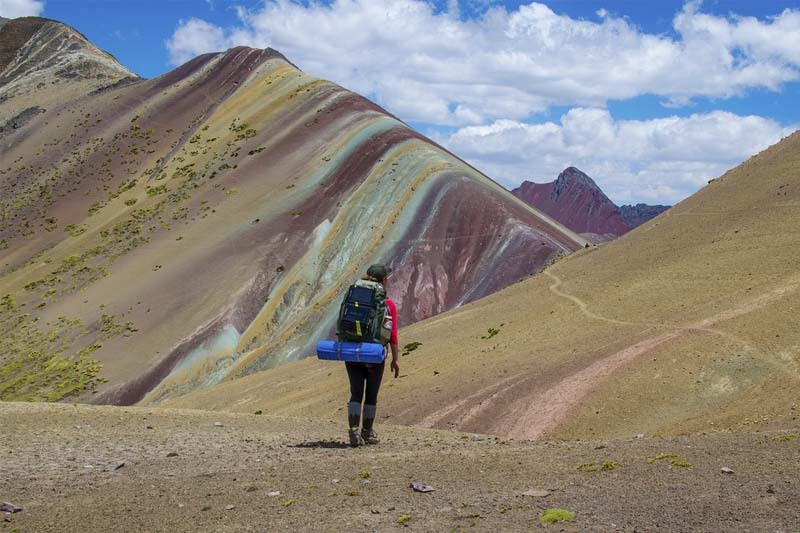 Tour operators offer trips to the Vinicunca mountain for more than a decade; however in the last 2 years it has attracted the attention of thousands of people who are trying to reach the rainbow mountain; so Forbes did not think of a better idea than to collect and provide information on how to get there ?, how to organize a trek? And what he needed to do it. The mountain has not yet lost its mystique. The tour will allow you to see large wild (and domestic) herds of llamas and alpacas; the landscapes change every day, snowy mountains, rocky mountains and desert, marshy pampas, but all these amazing places will lead you to an even more spectacular; hidden in the heart of the Andes mountain range, looks like a rainbow, is a mountain that is reached by an extreme route, with harsh conditions of camping and tired walks, so you need a lot of determination. When you reach the path leading to the amazing 7 color mountain and see it for the first time, it will all be worth it. But there is a faster way to get there. It is a tour that mixes buses, short walks and horseback riding up to 4,200 meters, but you will have to get up before 3 in the morning the day of your tour. ← Where to have fun in Cusco?